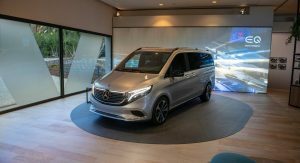 Last month, Mercedes-Benz unveiled the facelifted V-Class alongside the Concept EQV at the Geneva Motor Show. 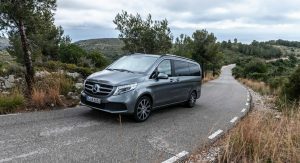 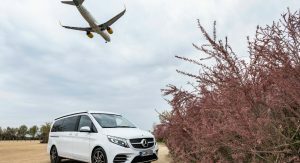 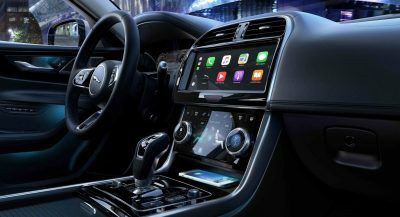 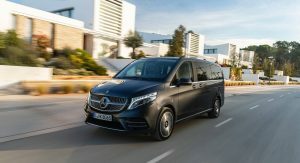 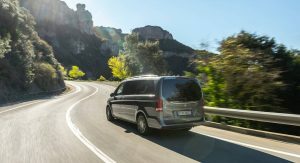 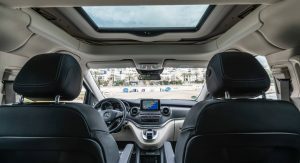 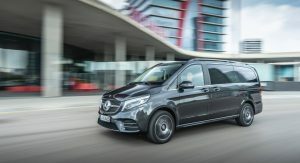 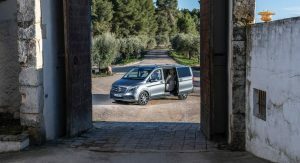 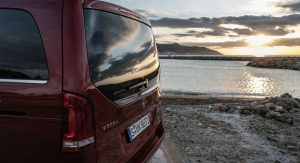 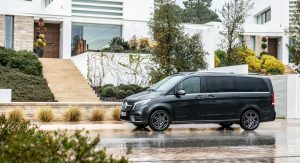 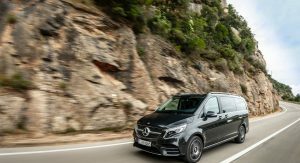 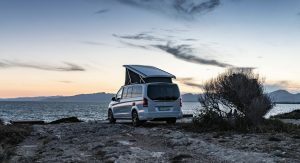 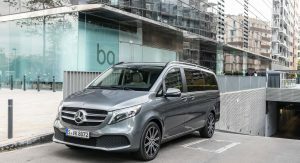 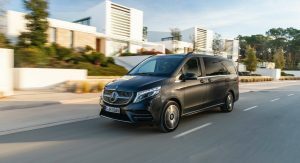 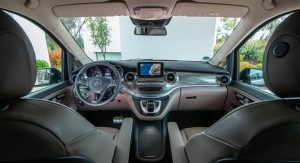 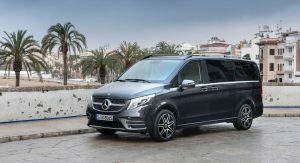 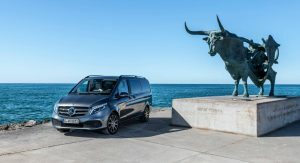 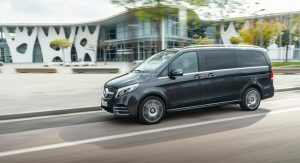 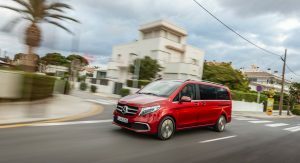 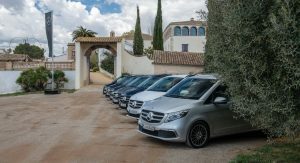 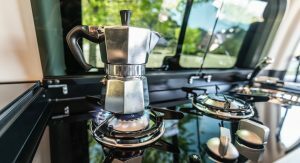 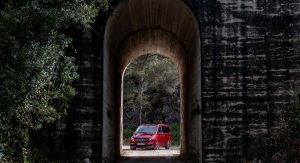 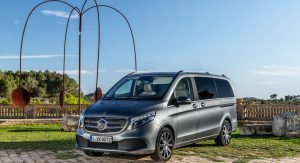 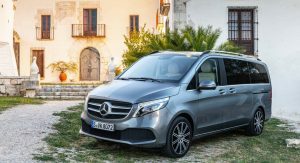 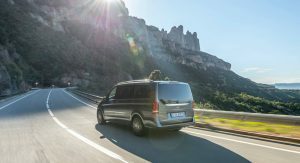 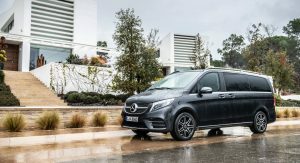 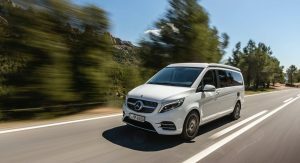 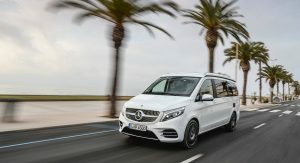 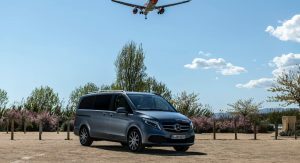 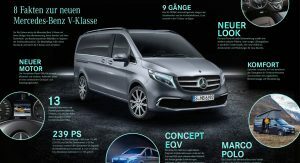 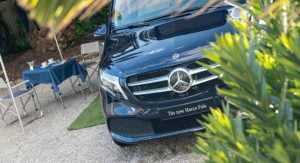 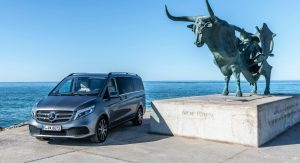 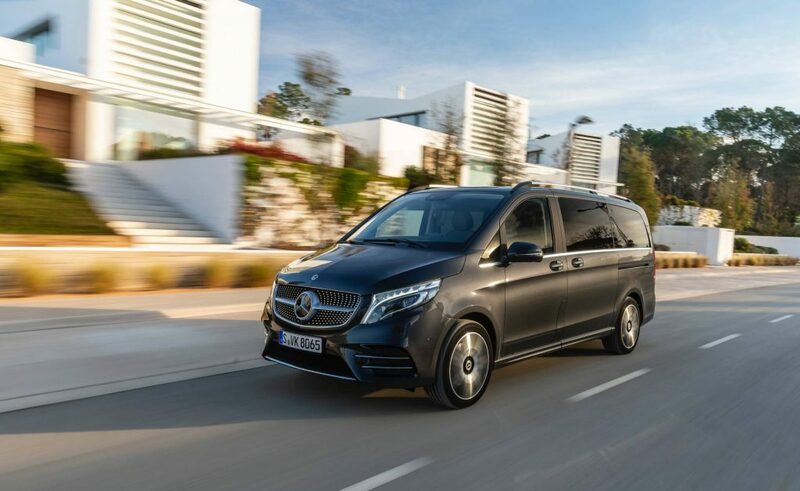 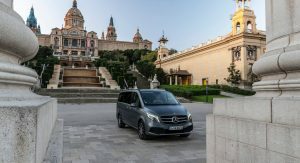 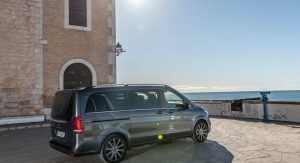 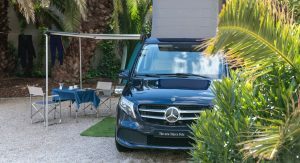 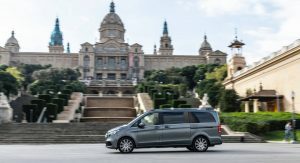 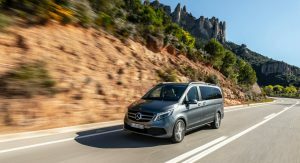 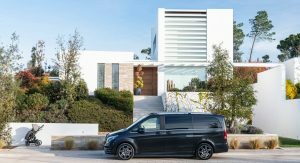 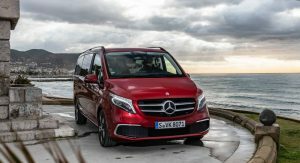 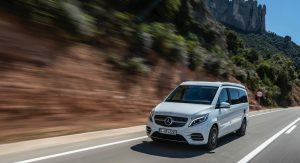 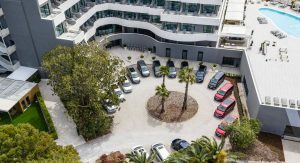 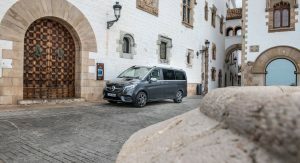 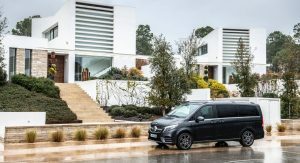 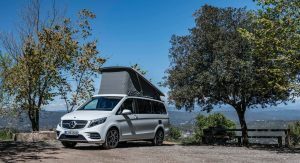 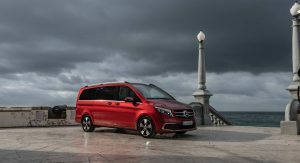 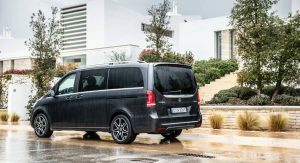 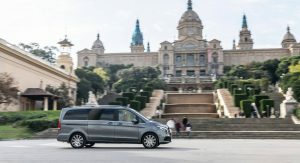 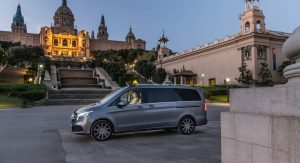 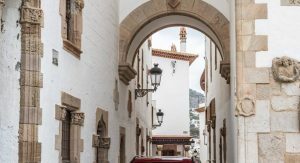 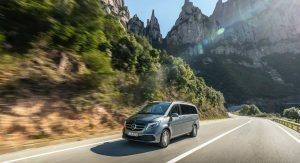 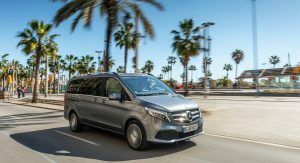 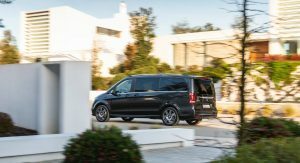 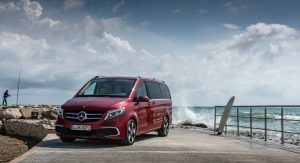 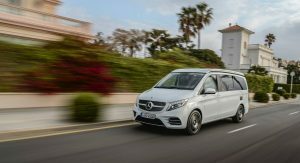 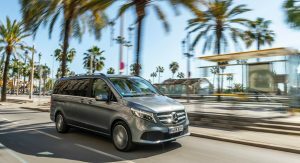 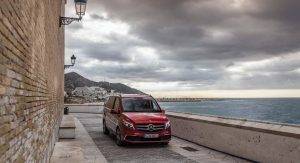 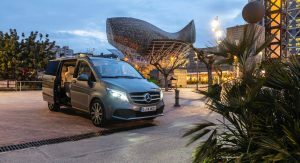 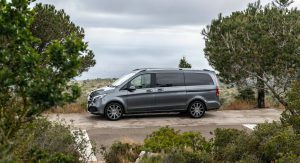 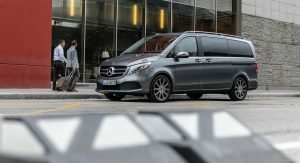 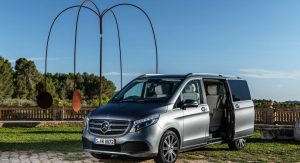 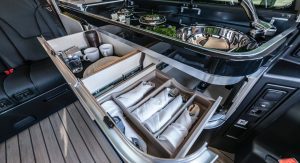 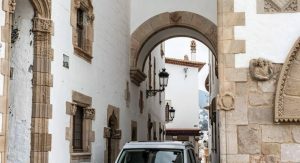 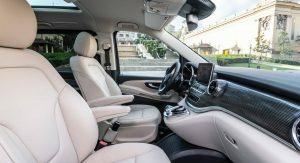 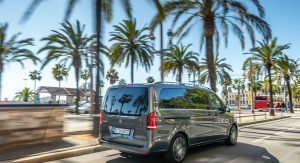 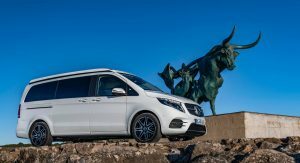 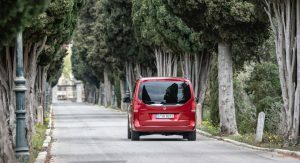 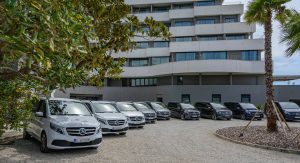 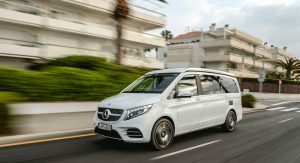 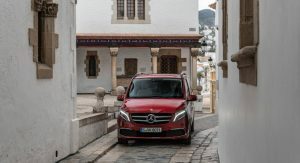 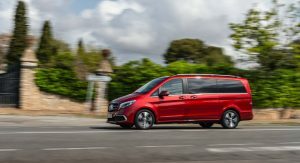 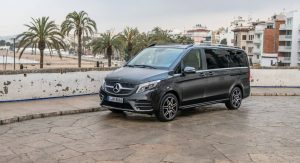 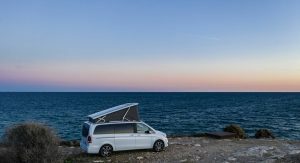 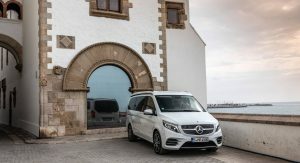 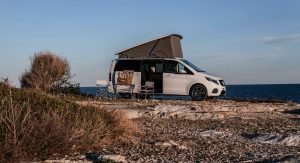 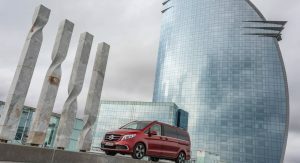 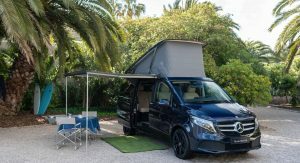 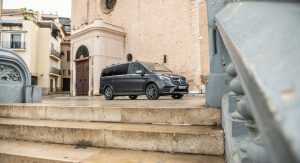 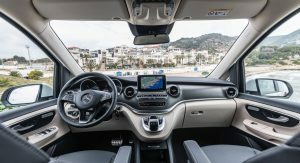 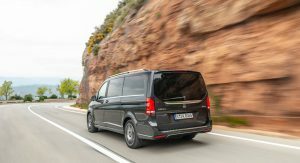 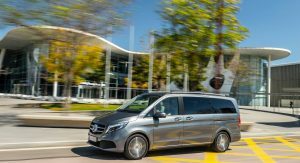 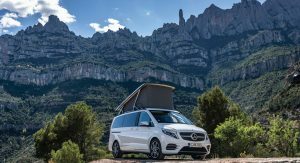 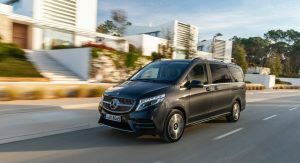 Now, as sales are already underway in most European markets, the automaker reminds us the V-Class has just been updated courtesy of a massive 160-photo gallery and the full set of details on its luxury people carrier. 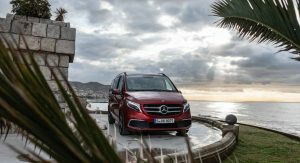 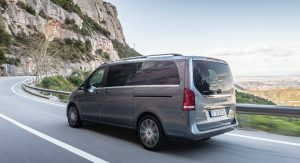 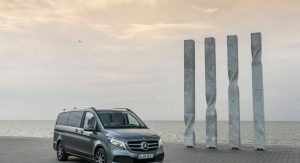 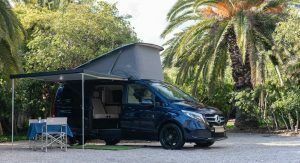 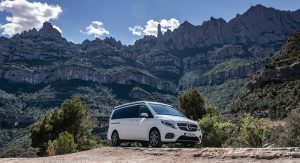 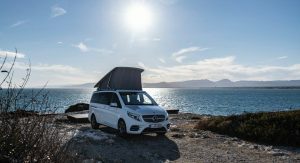 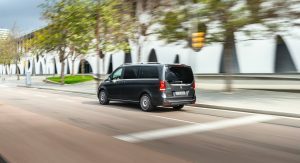 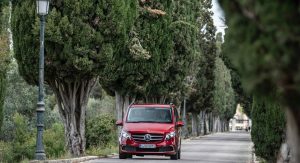 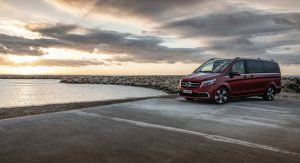 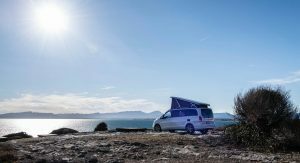 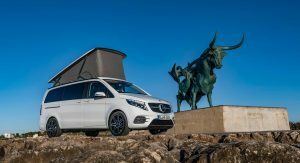 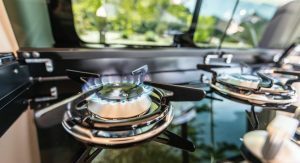 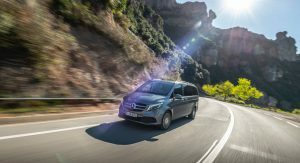 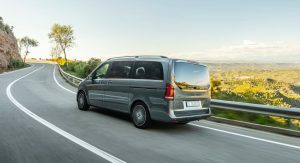 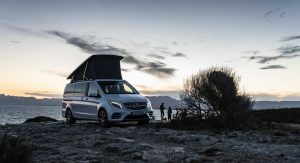 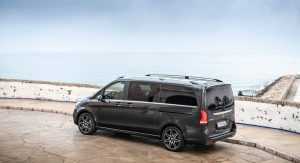 Launched in 2014, the Mercedes-Benz V-Class has been surprisingly successful in a market where MPV sales dropped dramatically in recent years. 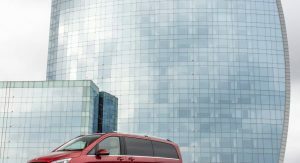 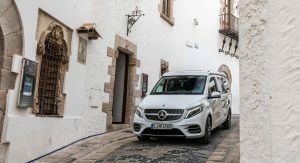 The automaker sold 209,000 V-Class units since launch, with 2018 being the nameplate’s best year so far with some 64,000 units. 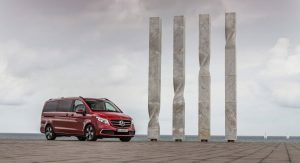 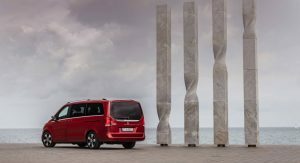 With the mid-life facelift, Mercedes-Benz has focused on enhancing the V-Class inside and out. 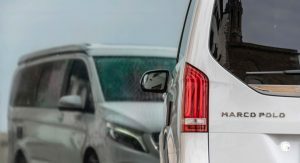 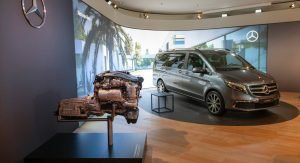 Design-wise, the MPV now brings subtle updates most visible at the front where the 2019 V-Class adopts a new bumper with striking air inlets and a new radiator grille. 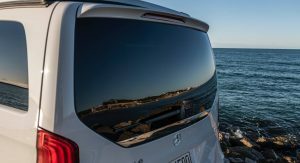 New exterior colors and four fresh alloy wheel designs ranging from 17 to 19 inches have also been added. 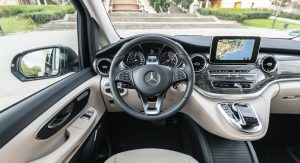 The interior presents itself with new air vents in a turbine look, as well as new dials in the instrument cluster. 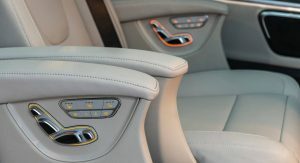 New upholsteries are now available, including Santos black fabric, Nappa and Lugano leather. 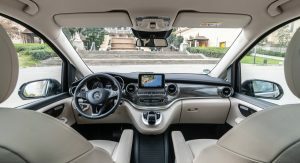 Additionally, a new trim element in twin-stripe look has been added on the instrument panel and side paneling. 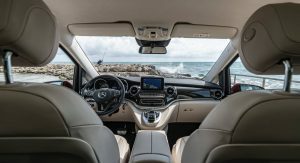 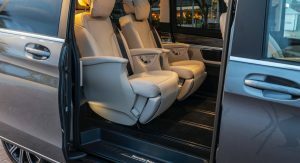 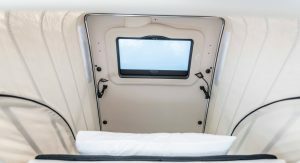 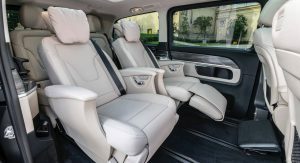 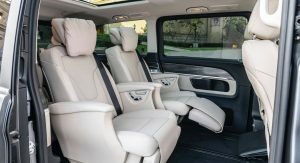 The facelift brings comfort improvements as well for rear passengers as Mercedes-Benz now offers optional luxury seats for the first rear row that include reclining and back massage functions as well as air conditioning — just like in the S-Class flagship. 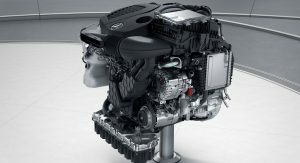 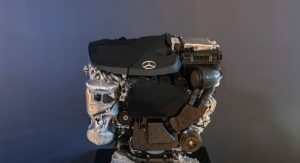 Moving on to the powertrain department, the 2019 V-Class welcomes the new OM 654 2.0-liter four-cylinder diesel engine family, available in three states of tune. 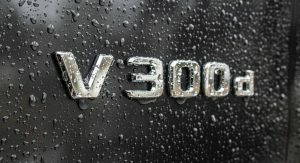 The entry-level V220 d is rated at 163 PS (161 hp) and 380 Nm (280 lb-ft) of torque, the mid-range V250 d delivers 190 PS (187 hp) and 440 Nm (324 lb-ft), while the range-topping V300 d offers a healthy 239 PS (236 hp) and 500 Nm (369 lb-ft). 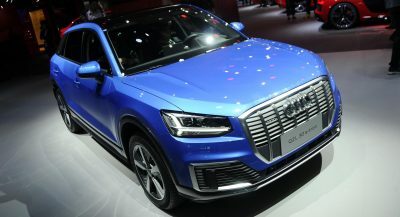 The latter model is the quickest in the lineup, covering the 0 to 100 km/h (62 mph) sprint in 7.9 seconds and reaching a top speed of 220 km/h (137 mph). 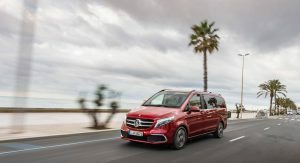 Every engine version comes fitted as standard with the 9G-Tronic nine-speed automatic transmission (a first for the V-Class) and rear-wheel drive. 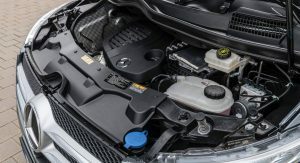 The 4Matic permanent AWD system is available as an option. 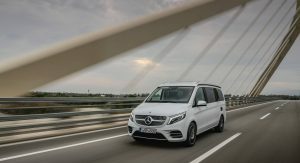 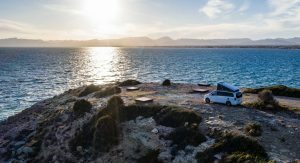 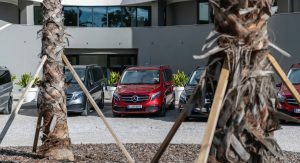 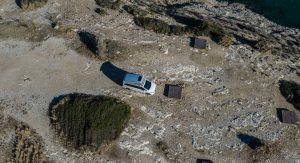 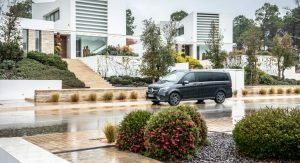 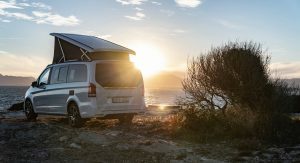 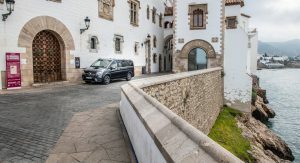 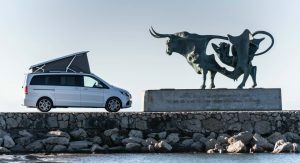 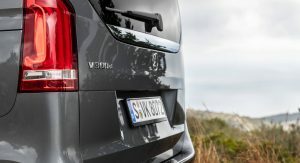 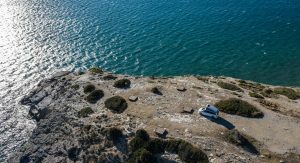 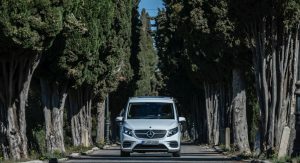 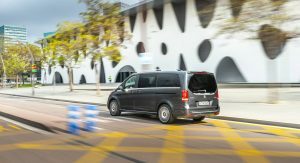 Mercedes-Benz has also improved the V-Class from a technological standpoint by introducing new driving assistance systems such as Active Brake Assist and Highbeam Assist Plus. 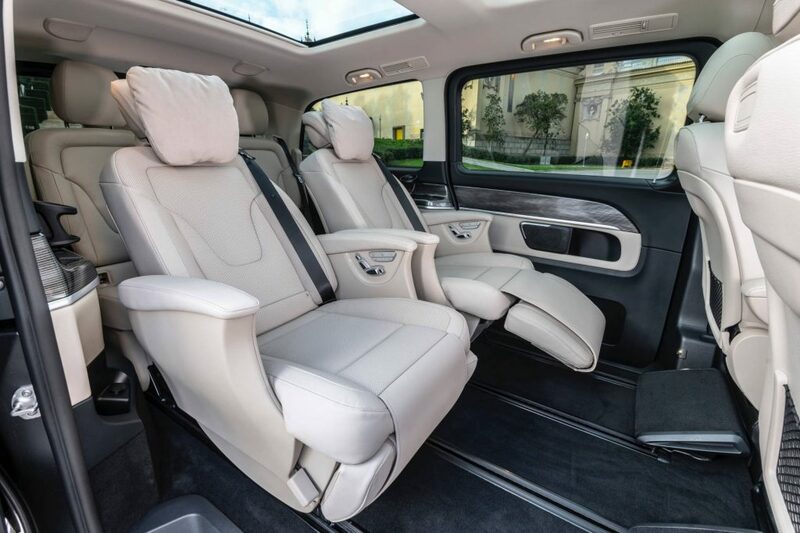 Don’t let the outside fool you. 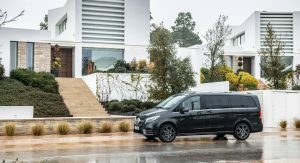 Thats a badass van. 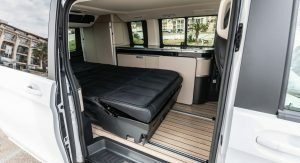 Hardwood floors and everything. 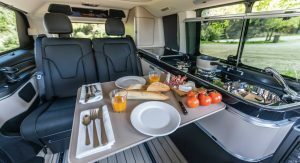 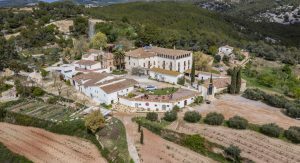 Is the one withe a kitchenette stock?! 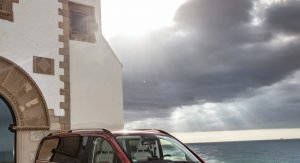 Yes, it’s the Marco Polo version. 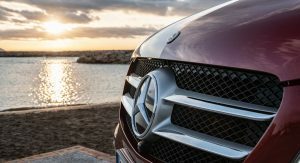 These guys from Mercedes are good making these cars. 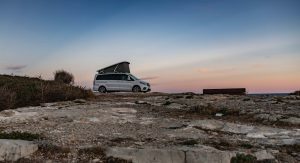 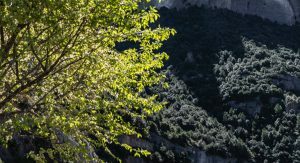 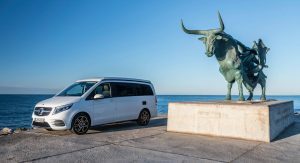 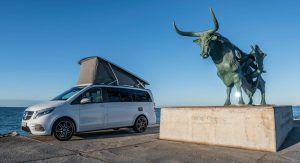 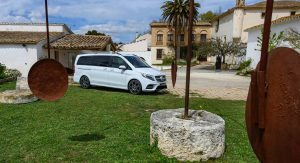 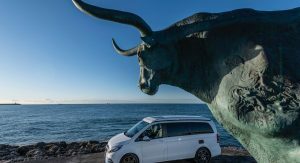 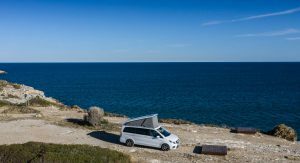 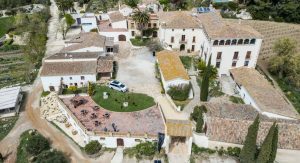 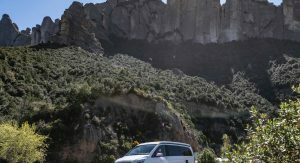 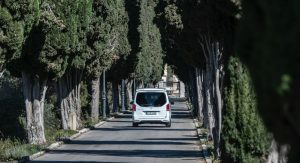 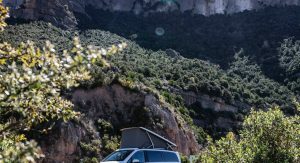 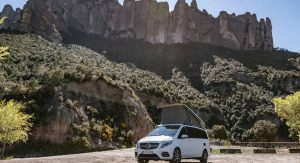 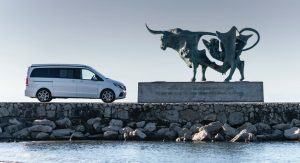 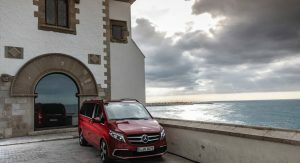 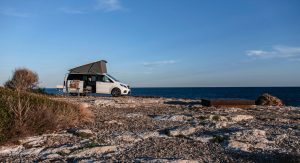 I have experienced, as a passenger, many kilometers in the V-Class, the new and the previous model, and I must say that it’s an amazing car, I don´t know anything better for 6 people to travel in confort. 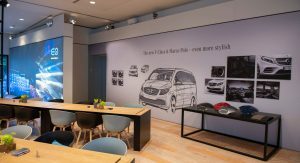 At least in Europe. 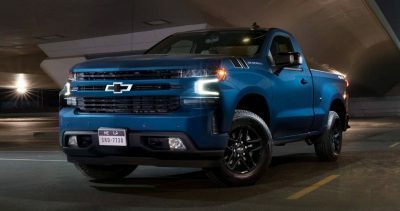 IT DOESN’T LOOK BAD. 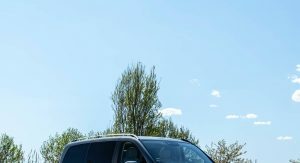 I’D SAY162 PICS IS OVERKILL. 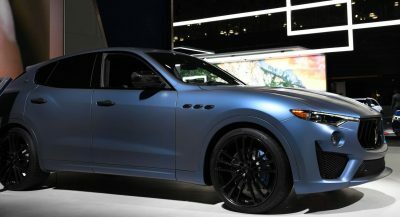 Design effort’s lacking for the sides, but at least they didn’t pull a Lexus.